Here is the list of the hotels near Bonnegarde. Book your hotel near Bonnegarde today, Friday 10 May for the best price, reservation and cancellation free of charge thanks to our partner Booking.com, leader in on-line hotels reservation. Below here is the list the 50 closest hotels of Bonnegarde, sortable according your criteria. You will find the position of these accommodations on the Bonnegarde hotels map. Featuring a swimming pool, a garden and a terrace and views of the garden, La Forge De Clermont is set in Clermont and features accommodation with free WiFi. The accommodation has a sauna. There is a fully equipped private bathroom with shower and a hair dryer. Guests at the bed and breakfast can enjoy a continental breakfast. Guests can grab a bite to eat in the on-site restaurant, which serves a variety of French dishes and also offers vegetarian, dairy-free and gluten-free options. Cycling can be enjoyed nearby. 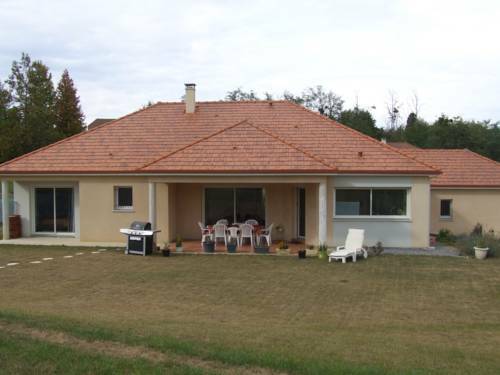 Dax is 16 km from La Forge De Clermont, while Orion is 34 km from the property. The nearest airport is Pau Pyrénées Airport, 69 km from the property. Below here is the hotels map of Bonnegarde. Names and details of Bonnegarde hotels can be shown on the map clicking on the prices icons.